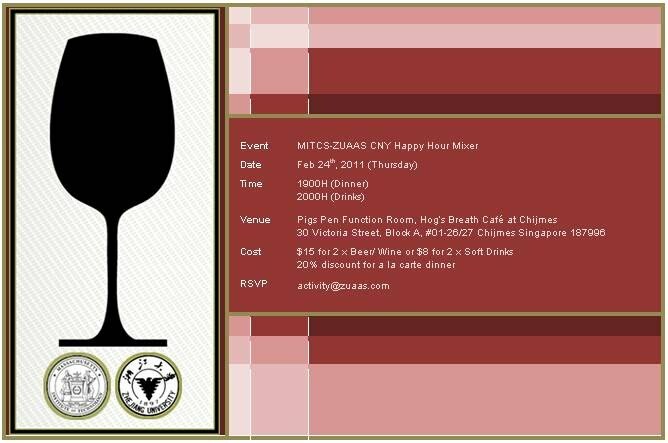 Jointly organized by MITCS and ZUAAS, we are delighted to invite you to celebrate the beginning of the Year of the Rabbit at the CNY Happy Hour Mixer. Come and meet new friends and catch up with old friends over dinner, or simply drop by for a drink or two. Either way, we look forward to seeing you.